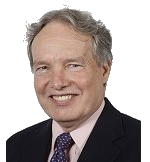 Prof. Francis Snyder is C.V. Starr Professor of Law and Co-Director, Center for Research on Transnational Law, EU Jean Monnet Chair ad personam, Peking University School of Transnational Law; Visiting Professor (formerly Centennial Professor), London School of Economics. He earned a J.D. from Harvard Law School in 1968 and a PhD from Université de Paris I Pantheon-Sorbonne in 1969. His research interests include WTO law and international economic law; EU external relations, customs law and international trade law; anti-dumping law; international and domestic regulation of food safety and technical standards; constitutional law of the European Union. He is author of many books and articles of international law.